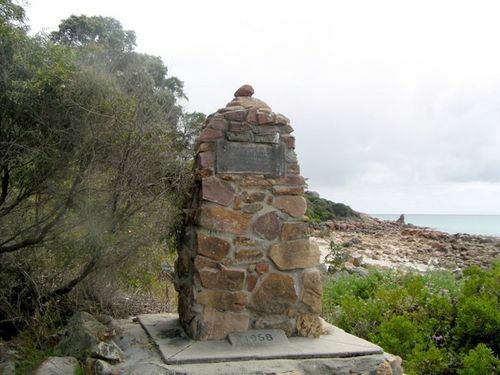 Cairn commemorates the site of the Castle Rock Company American whaling station. Back in 1845, the Castle Bay Whaling Company was established near the rock. During rough weather, Castle Rock was used as a safe refuge for the whaling ships. Whaling ceased in 1872. Of The CASTLE ROCK Co.
And Continued For Many Years. Royal Historical Society Of W.A.